Choose the options below and submit form; you will be sent a link to pay securely upon approval of application. All options are for both days. 1. Display must be set up by 9:45 AM on Saturday. The venue will be open to vendors at 7:30. 2. Each vendor agrees to market the event by: a) sending out 100 invites to their clients in a 60 mile radius. b) hanging event fliers on at least 5 bulletin boards in your community. c) sharing the event as it is advertised by Seeds of Grace through Facebook, twitter and Instagram at lease once per week. 3. Aside from the provided 8' table, each vendor is responsible for their own set up, breakdown and hauling of supplies. Seeds of Grace is not liable for any damage to your supplies. 4. Each vendor will commit, in good faith, to a timely delivery of all merchandise to every client. 5. Each vendor commits to being on site the entire time. No early tear downs. Any vendor that tears down early will not be invited to participate in future events. 6. 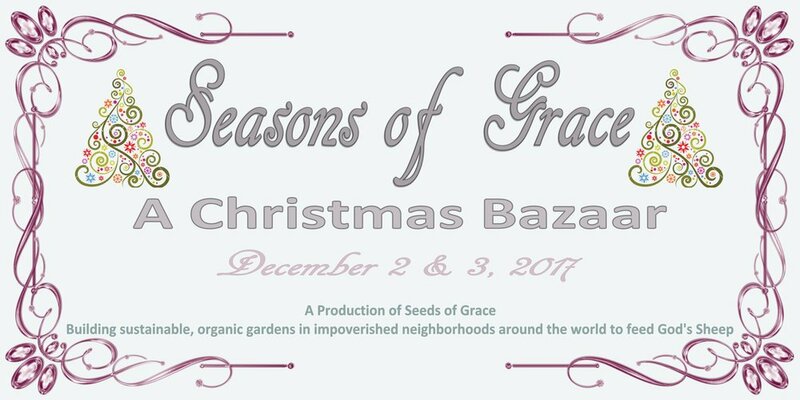 Each vendor is fully responsible for all liability (you agree to not hold the event coordinator, Seeds of Grace or the location, Bremerton School District, or any contributor to the event) liable for any unforeseen incidents. 7. Once you submit this form, your application will be reviewed and upon approval, you will receive an invoice for your choices and a secure link to make payment for your choices. 8. Each vendor commits to donating 2 items (one per day) with a value of at least $15 to the event raffle. Because space is limited, please submit this form and make your payment at your nearest convenience. There will be no identical vendors. Vendors will be chosen on a first come, first served basis and any duplicate vendors will be waitlisted in the order their applications were received. If we don't receive your payment within 24 hours of the timestamp on the email of your invoice, your space will be released to the next vendor in line. Your invoice will reflect any discounts you are entitled to receive. By typing your name below, and submitting this form you agree to the conditions above. Thank you! You will receive an email soon with your invoice and a link to pay. Please pay within 24 hours of receiving this invoice to avoid losing your space.